Just like people said, there's always a first time for everything. 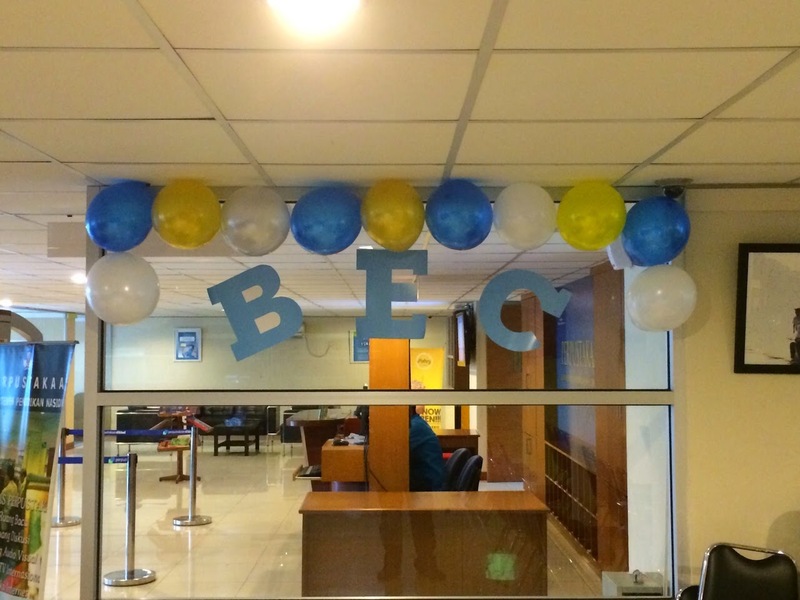 Last Saturday I was attending the first BEC meet up. Although it was the first time gathering, the event was successful. Everyone looked happy and nervous. Especially the admin, who had to manage all the event by themselves. BEC isn't my first community, but i felt a little bit nervous too. When I entered the venue, all the admin (except Mas Andik who couldn't make to came) already busy but looked cheerful greeting the participants. They admin wear the same batik pattern as their dress code. Made us easy to recognize them. The decoration from party.inc was very pretty, simple but merry. The participant who had just come try to mingle, introducing their self to each other. 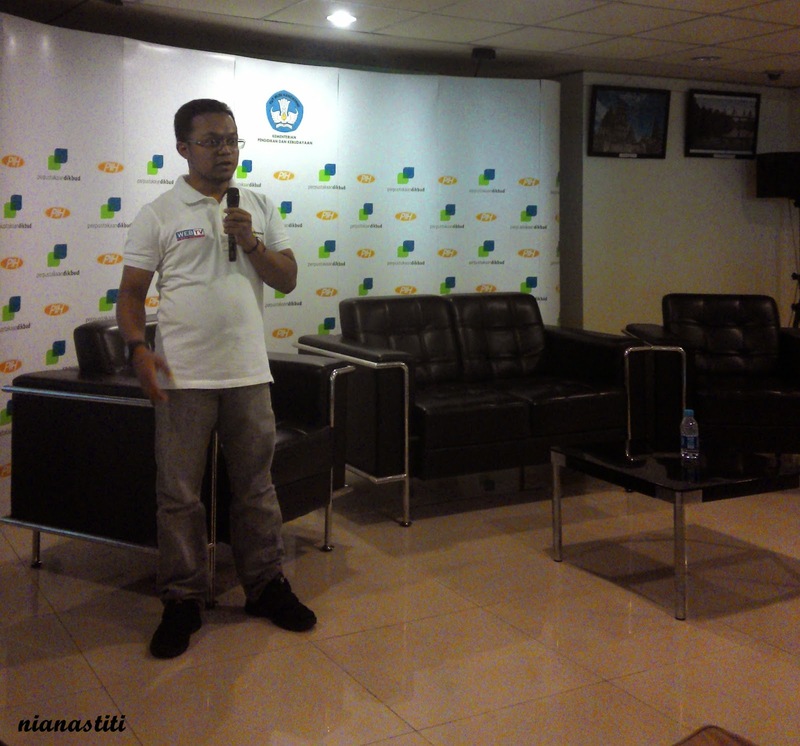 The event opened by Mas Dani, the famous blogger, hihi. He looked a little bit nervous, but he can't stop smiling, I think he was very happy to meet us, hahaha. You can see his happy smile on the photo below. 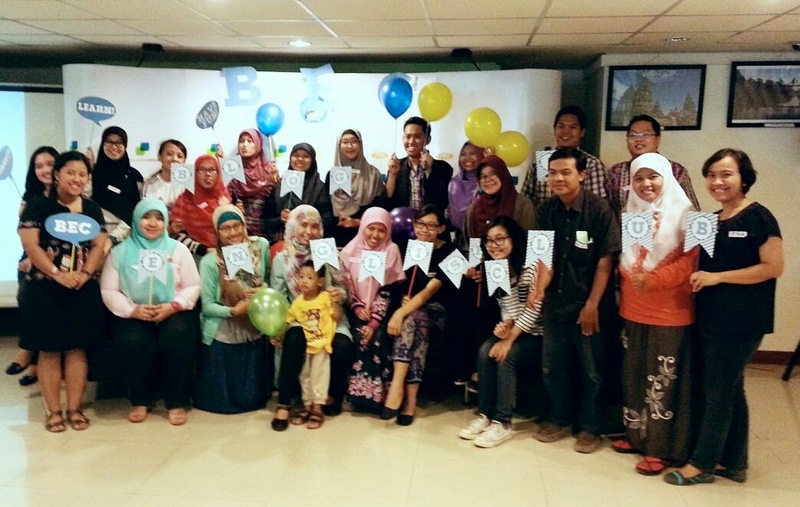 After Mas Dani, Mba Nita told the story about BEC, the journey how BEC formed and become a growing community just like now. Mr. Hartanto from Idcaster who provide us live streaming for the members who can't attend the event talked about how the live streaming works. 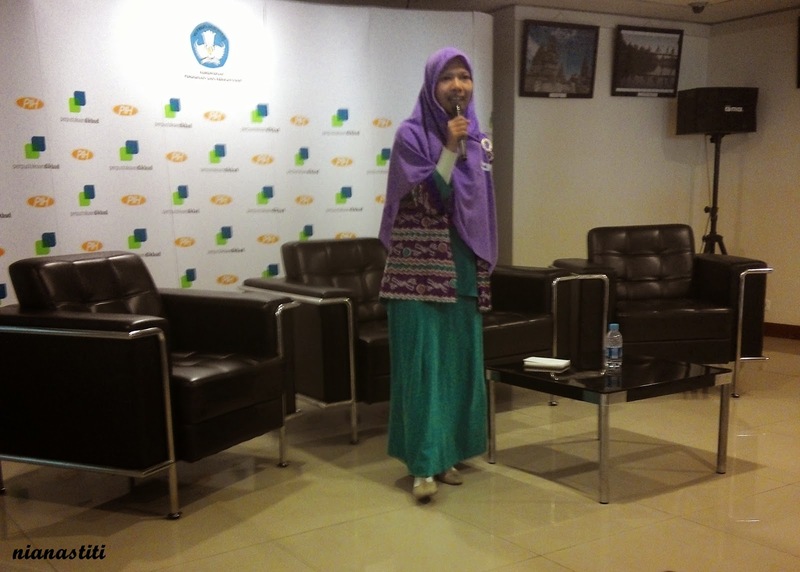 Mba Deva was the moderator during the main event about How to Blog in English Confidently with Mba Ollie Salsabeela. She is a very amazing woman. 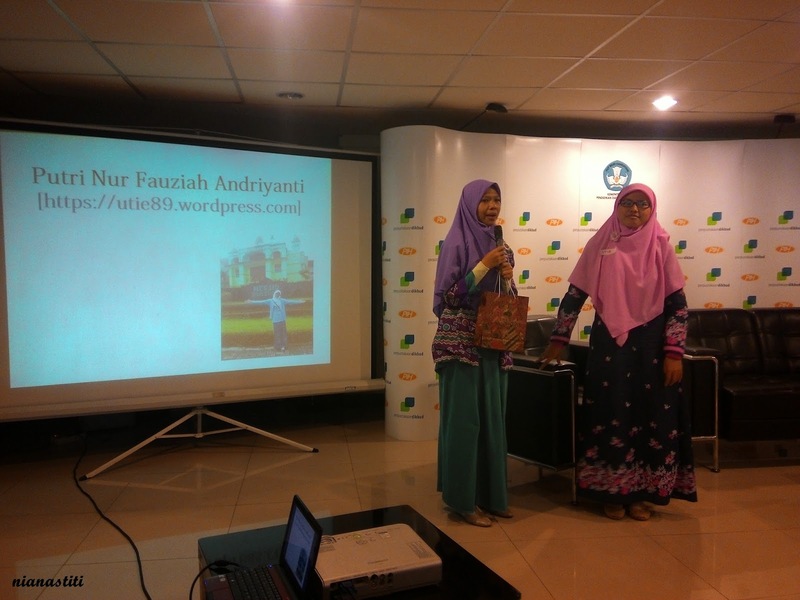 I really grateful that I can learn from her in this event. 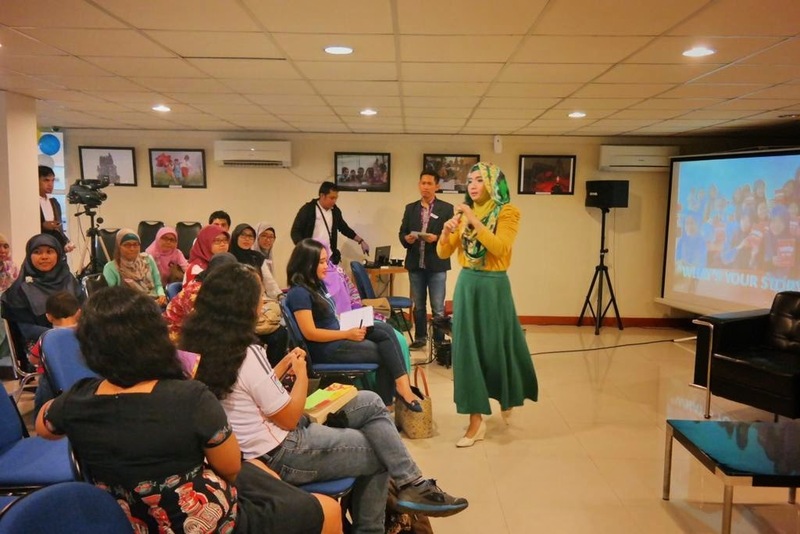 We can learn many interesting yet very useful tips from Mba Ollie. 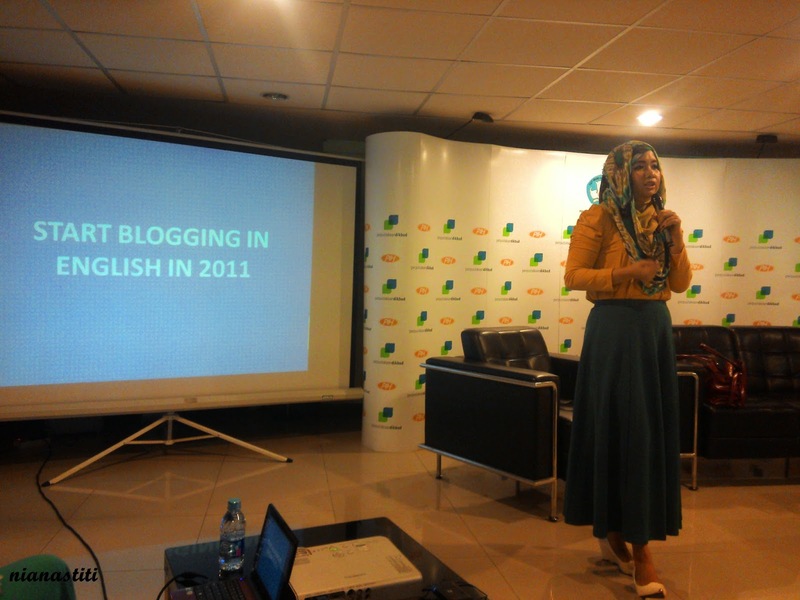 She is blogging in English since 2011 until now. She invited to many international events and took many journeys to another country for free just because her blog. I learn about personal branding from her. She said the most important thing while blogging in English is communication first, say what you want to inform to the reader, and check the grammar later. Don't be afraid with critics. Make it as your trigger to be better. It's depend on us how the critics will influenced positively or negatively. Show what your interest in your blog, it will be an added value for your blog. 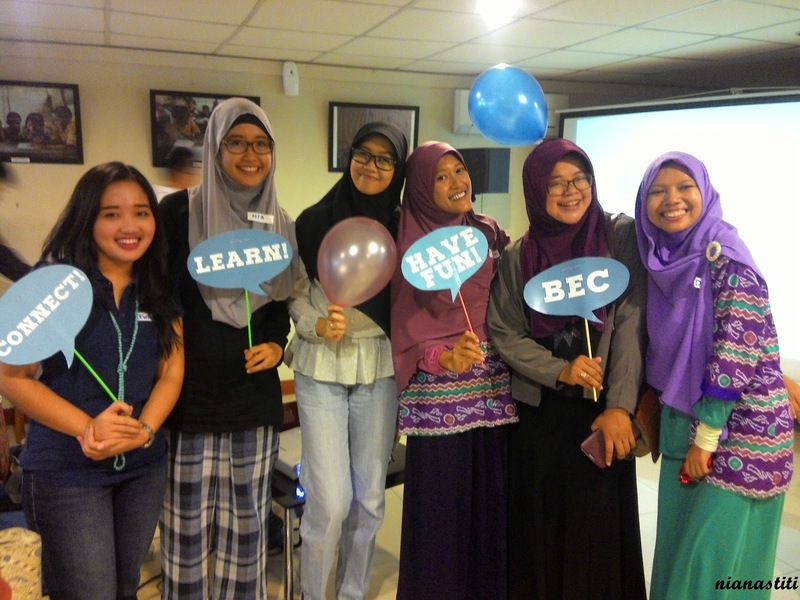 After a question and answer session with Mba Ollie, we had writing workshop. The participants must be in pair with another, we had to listen our partner life story for 5 minutes, tell our own story in 5 minutes and write the partner story in 5 minutes. Challenging because we had to listen in purpose of writing it later. Need a high concentration. The best story got a prize, the winner was Mba Etty and Lia. Congrats for both of you. I became starving again after the session, so I ate some brownies and pastel from Millie Cakery. I had tasted the pudding in the beginning of the event. All of it was very tasty. The owner of Millie Cakery is Mba Yeye, nice to know her personally. I was surprised that she is a cookie master. 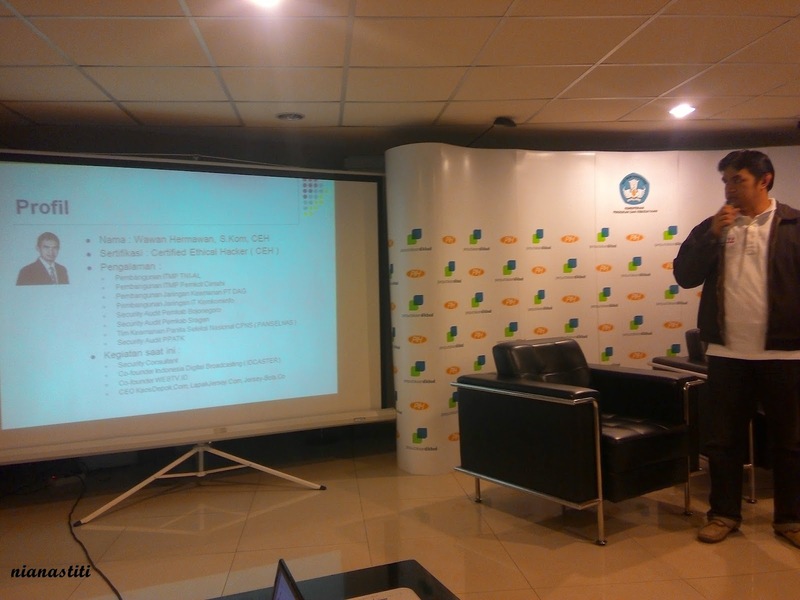 Mas Wawan, a certified hacker, told us about hacking world. 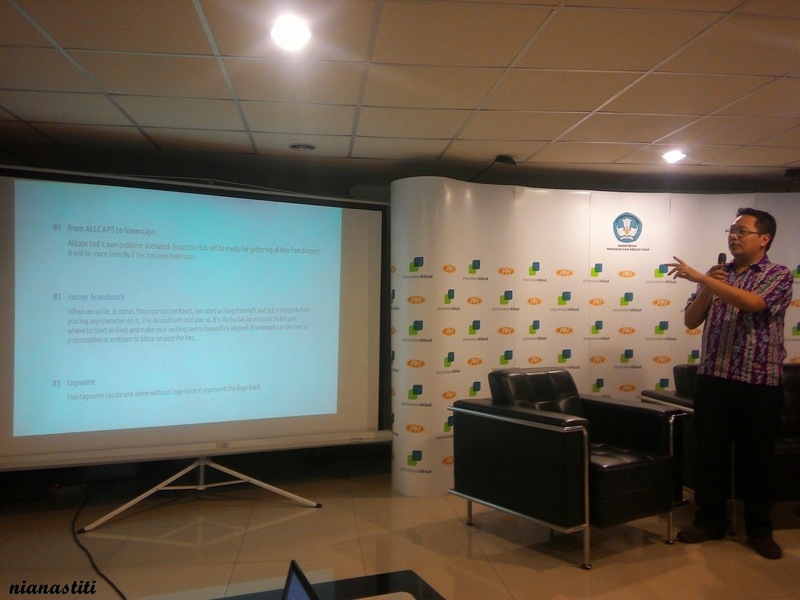 We learn about how to prevent and recover our blog from hacking. A new thing for me. For more info, you can visit his twitter @DokterWP. 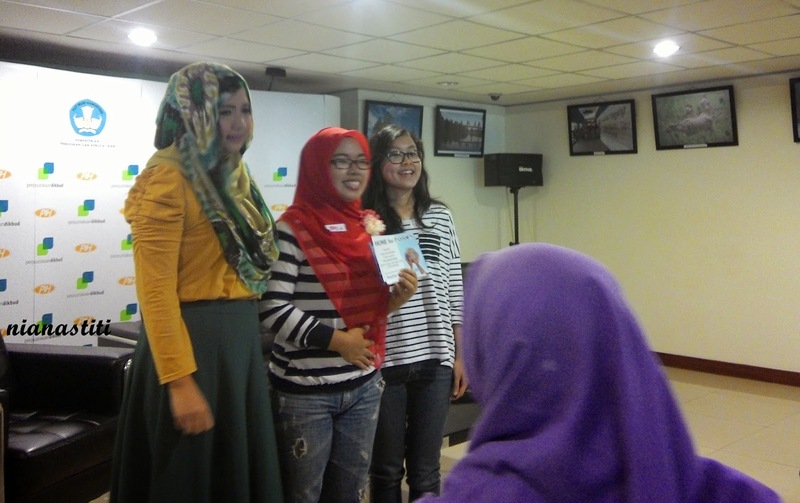 Surprisingly, Mba Deva announced about member of the month, the winner for February is Uti. Member of the month is a person who give her/his biggest effort to follow the learning session and the writing challenge each week. 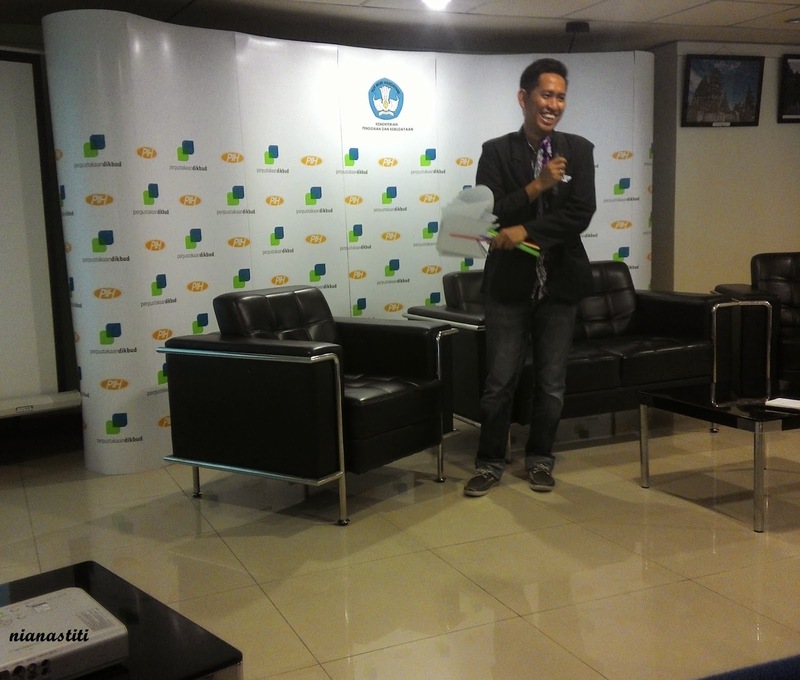 Mas Ryan announced about giveaway about the community logo, the winner was Mas Ongko. Congratulation for Uti and Mas Ongko. The new logo is very simple but very meaningful. I am grateful that I can join this great community and nice to know the great people who want to study and practice together in the community with one purpose, to be better in English. Thanks to the admin who already arrange the event and the topics to discuss in learning group, and thanks to the mentors who want to share the knowledge with us. Thank you very much Mba Nia. You can tell that we are nervous huh? Hahaha. Thanks God it was a success. Thank you all for coming.